Most of us have had to pack up and move at least once in our lives. And, as you know, this is not always the most fun experience. Plus, it can be downright expensive to move. I recently moved myself, and I learned a few interesting things along the way — some of them the hard way. So, if you’re like me and you don’t have the extra money to pay movers to come and pack up your stuff and move it for you, then you’ll appreciate these tips. We’ve all heard the horror stories about moving companies that quoted a price and then, after the contract was signed and belongings had been packed up & moved, the owner discovered that the moving company was holding the owner’s belongings hostage — until more money was paid. Another scenario you’ve probably heard of is where the items either didn’t arrive at the new home at all (because the movers weren’t movers and stole them), or items arrived broken or completely destroyed. Fortunately, there are ways to avoid these problems the next time you move. Most of these tips will not only save you money, but also ensure that all of your belongings arrive at your new home in one piece. 1. Pack your own stuff. Movers will charge you an arm and a leg for both the materials to pack your stuff up as well as the labor to do so. By packing up everything yourself, you are only purchasing the materials to pack up your stuff — not the labor for someone else to do so. Even better, invite some friends over to help you pack. Order a pizza or some other fun food, along with drinks, and make it a party. This also enables you to oversee the packing to make sure it’s done properly so that things don’t get broken. Plus, it well also give you a chance to visit with friends you may not see for awhile — especially if you’re moving a long distance away. 2. If you will simply be moving to a new location within your town or city, ask your friends who have trucks and vans to help you move. 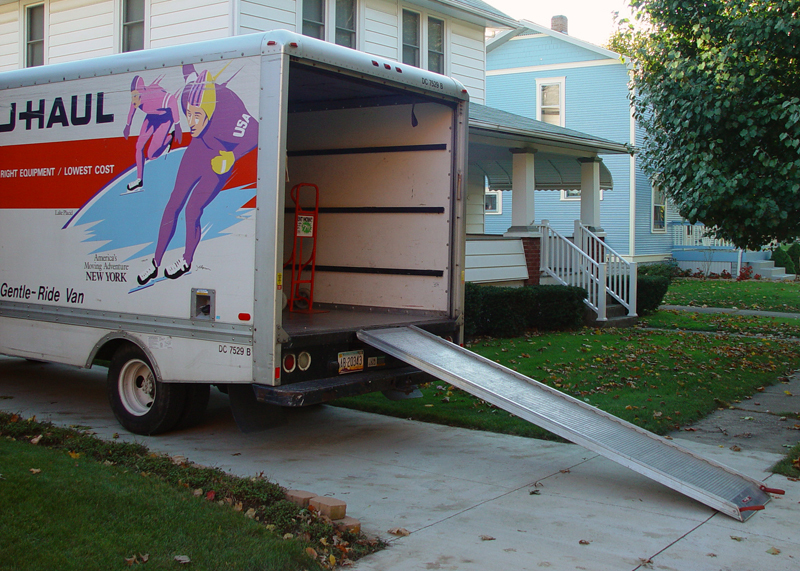 You will save money by not having to rent a U-Haul or some other truck or trailer to move your things yourself. Also, those same friends will be able to help you move your stuff into your new home, as well. And believe me, the extra hands will be welcome! Offer to pay for gas and a meal or two as payment for their help. 3. If you are moving to a location that is some distance from where you presently live, then (unless you have friends who can take some time off to help you move) you will need to rent a truck or trailer to move your stuff. This is still cheaper than having movers pack up and move all your stuff. And your friends can still assist you in packing the truck or trailer. One of the best advantages of doing it this way is the fact that you are in control of how the truck or trailer is packed up, thus ensuring less damage to your belongings. 4. If you don’t like the idea of purchasing a lot of bubble wrap to protect your dishes and breakables because it’s made from plastic and can be expensive, then you may want to consider wrapping your breakables in newspaper and then filling the box with the peanuts that are made to break down (rather than the Styrofoam peanuts). While there is a little greater chance of something getting broken this way, it’s a good way to save a little money and protect the environment. And, you can always save all that bubble wrap for when you need to send packages as birthday and Christmas gifts! 5. Another way you can save money when moving is to get rid of any items that you no longer use or want — rather than packing them up and taking them with you. Most of us tend to be packrats and collect lots of stuff, and we often don’t even realize how much we’ve managed to collect while we are living at our present home. That being the case, it only makes sense to go through all your belongings and get rid of anything that you don’t want and/or don’t use on a regular basis. The less you have to pack, the less money you have to spend on packing materials! 6. If you are fortunate enough to work in an office where they order boxes of printer paper (and you know enough ahead of time that you are moving), then collect as many paper boxes as you can. Paper boxes make wonderful packing boxes not just because of their size, but because they come with lids! The more of these boxes you can collect, the more money you will save on purchasing boxes. The same is true for any packing materials that you can collect, such as bubble wrap and peanuts. Recycle those things and use them to pack your stuff, as well. Even if you don’t work in an office, chances are you know someone who does. Ask them to gather packing boxes and materials for you. These are just a few simple ways that you can save money when you have to move. Feel free to share your own money-saving ideas in the Comments below.